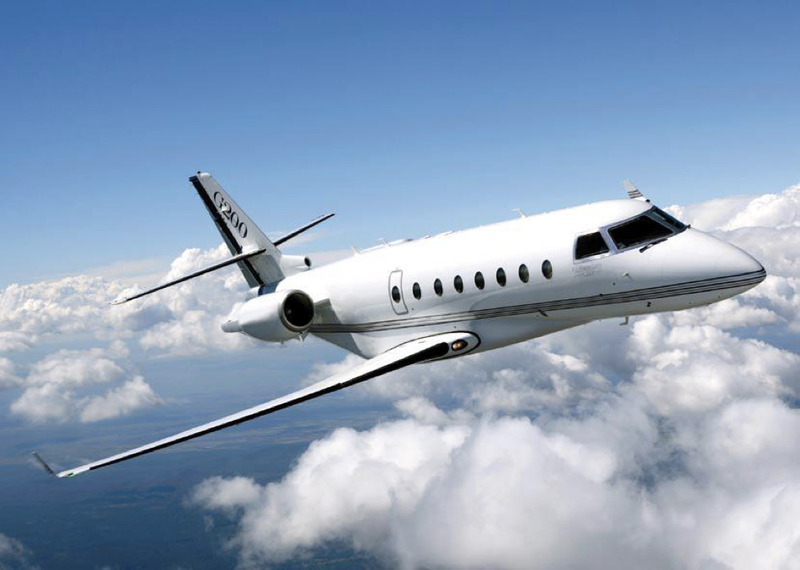 Formally known as the Galaxy, the G200 was produced by Gulfstream Aerospace until 2011. Although an early generation jet and one of the first within the Gulfstream series, this aircraft is just as successful as when it first hit the market. Combining a large cabin, considerable range, and constant reliability, the G200 is ideal for fulfilling long distance trips in style and comfort. 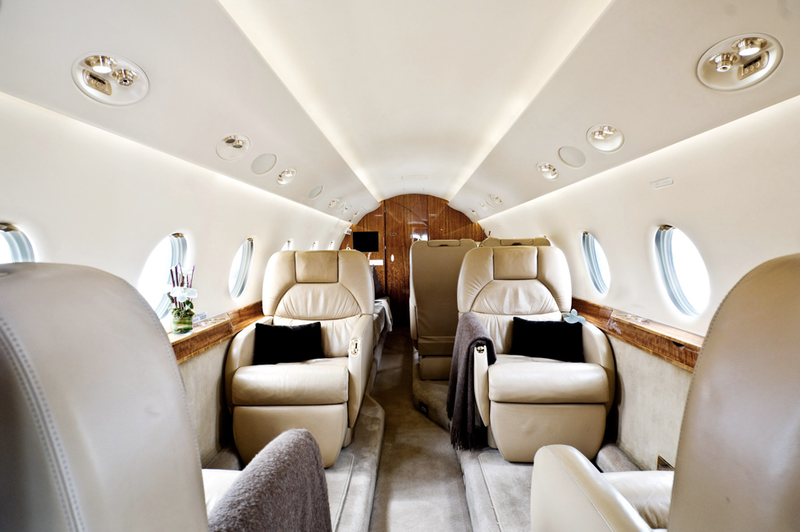 As a super midsize aircraft, the G200 can be configured to hold up to 9 passengers. With a 24.4-foot-long cabin that is 7 feet wide and over 6 feet in height, passengers will have extra head and foot room. The external baggage compartment is over 125 cubic feet and can hold up to 2,400 pounds of luggage. The cabin hosts two zones with big oval windows providing an abundance of natural light. Three possible cabin layouts include a double club section each seating four, a single club section seating four with conference grouping and a divan, or a club section seating four with another half club opposite a divan. The G200 has a range of about 3,400nm (3,910 miles) and is the supreme jet for transcontinental trips. Two P&W engines power the aircraft, each delivering 6,040 pounds of thrust. The aircraft can climb to 37,000 feet in only 19 minutes, and can fly at an altitude of 41,000 feet for long range cruise. At high altitudes, the cabin maintains a low altitude for passengers, making for a comfortable trip from beginning to end. Sustaining a cool cabin even in the hottest weather, passengers will always feel at ease inside the jet. The cabin and cockpit also have separate climate controls that can be easily adjusted and 100% fresh air fills the cabin through a fresh-air system that is never recirculated. 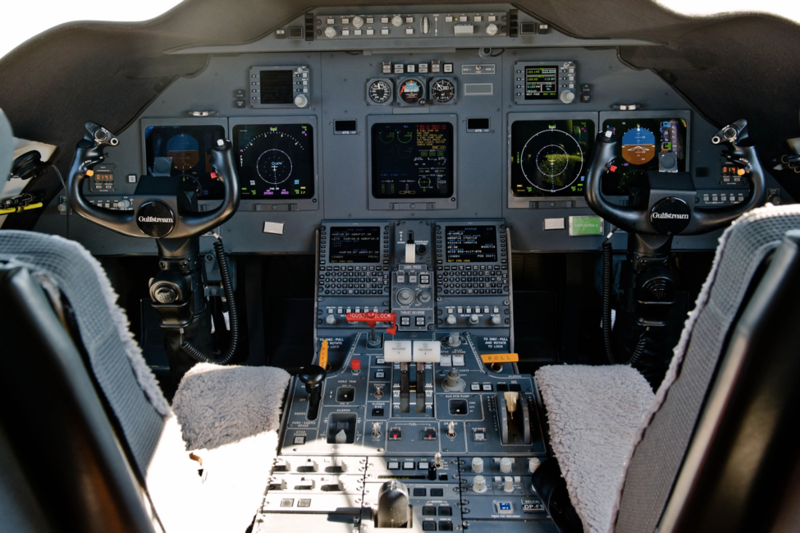 A five screen Collins Pro Line 4 avionics suite is present within the cockpit of the G200. Flight and system information, as well as an engine indicator and crew alert system fill the screens and give pilots digital information. As an added safety feature, anti-skid brakes are present on the G200. Safe and efficient, this twin turbofan engine business jet is held to high standards. Operating at the cost of a mid-size jet yet offering a large jet cabin makes the G200 unique and one of the best private jets money can buy. With its cross country range, speed, and fuel efficiency, the Gulfstream G200 is ideal for completing long distance trips comfortably.